Over the past 26 years we have supplied thousands of customers with custom molded Headset Earpieces giving them the comfort and convenience of communications without a headband. 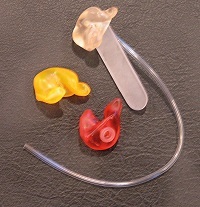 After using an Avery Sound Company earpiece for a few hours you will wonder how you ever tolerated those headbands and poorly fitting generic ear tips. 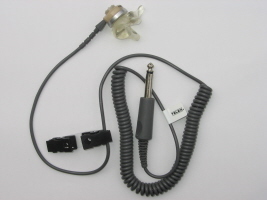 Our Headset Earpieces are used in conjunction with a communications headset. 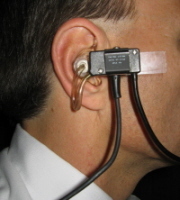 The type of headset to be used will determine the final setup. 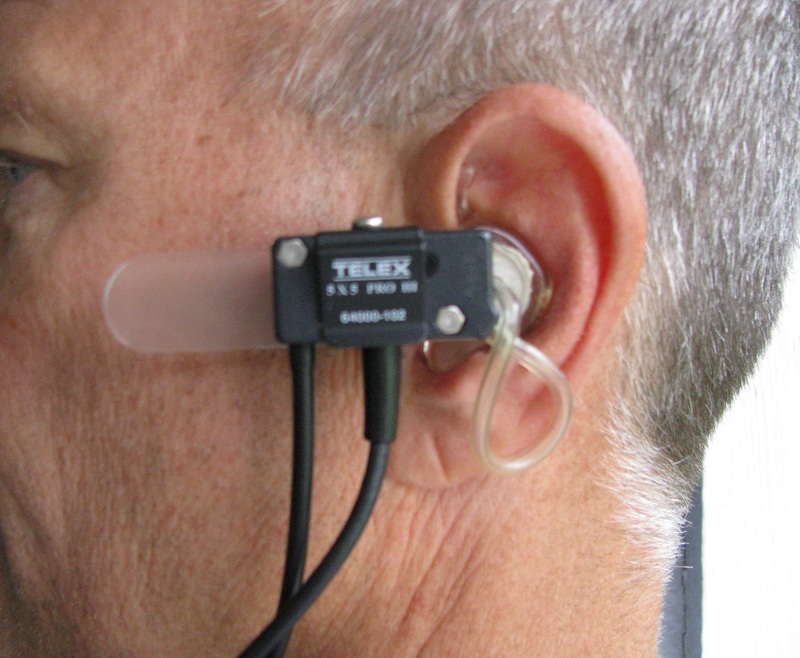 To use our custom earpiece with a receive only Telex PEM or PEV77, the earpiece simply snaps onto the Telex unit and the custom earpiece holds it securely and comfortably in your ear. No more headbands or ear hooks. If you are using the Plantronics Starset, wear the Starset as always, but now enjoy the comfort and clarity that only a custom earpiece can provide. 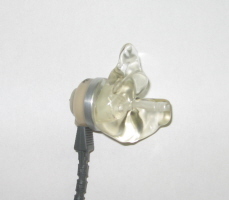 Simply detach the generic ear tip that was provided with the Starset and replace it with your custom earpiece. If you are using the earpiece with a boom microphone headset such as any of the Plantronics MS50 series headsets or the Telex 5x5, we add our Boom Bar to the setup. 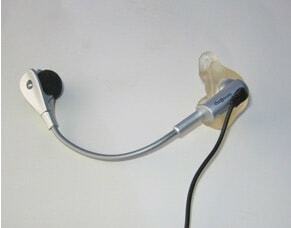 The custom earpiece snaps on to the Boom Bar. The Boom Bar now provides an attachment point for the headset with the lightweight package supported solely by the custom earpiece. Thousands of customers are currently enjoying this headband free arrangement with superior comfort and crystal clear communications. Click here for information on purchasing the Plantronics MS50 or Telex 5 x 5 Pro III headset. 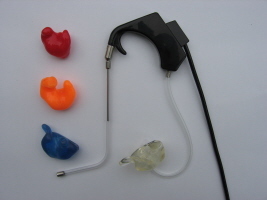 We have successfully adapted custom earpieces for a wide variety of headsets including headsets which use a foam covered ear tip designed to be inserted in the ear. 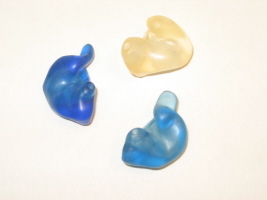 Our custom earpiece eliminates the hassles of keeping these foam ear tips sanitary. 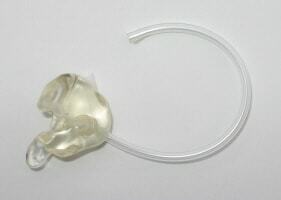 The user no longer needs to roll or squeeze these foam ear tips with their fingers creating the risk of introducing contaminates into the ear canal. 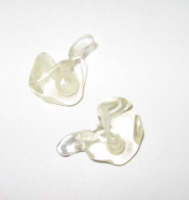 We eliminate the cost of purchasing replacement ear tip sets which will quickly recover the cost of a set of our custom earpieces. 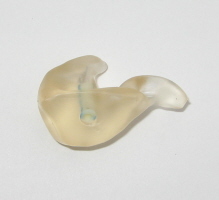 If you have any questions about how a custom earpiece can work for you, please call us at (800) 786-5140. We will be happy to review your specific situation and find the perfect solution for your communications needs. 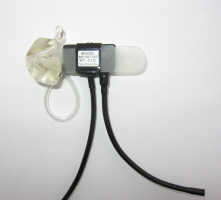 We have made custome earpieces for a wide variety of headsets. All of our headset earpieces can be ordered in a wide variety of colors and there is even a glitter option for that personalized touch. Click here to see some color options.